The probate sale listing at 1337 Thayer Ave., LA CA 90024 lasted a few weeks before getting an accepted offer. This particular probate sale required court confirmation, which was held on September 2nd, with a first overbid of $1,483,866.50. It looks like the home did not get bid up and the original purchaser ended up being the buyer with a purchase price of $1,413,000. 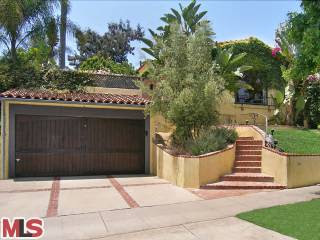 The home came onto the market 5/28/09 with an asking price of $1,395,000. According to the MLS, the home is a 3 bedroom / 2 bath, 2,337 sq ft home on a 6,720 sq ft lot.